During the initial stages of my university search, I compiled a homogeneous list of Division I colleges in the United States. 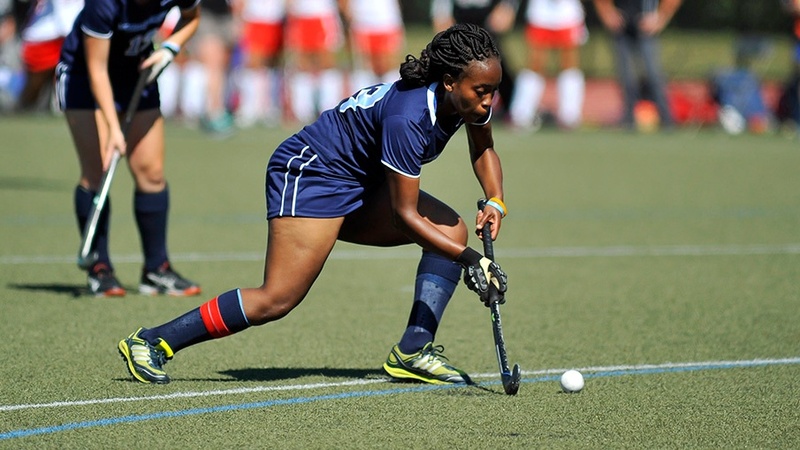 My mind was set on playing field hockey at the collegiate level, and to me, being serious about my sport meant playing among the best of the best. One advisor persisted and helped me see that Mount Holyoke would be a perfect fit for me. 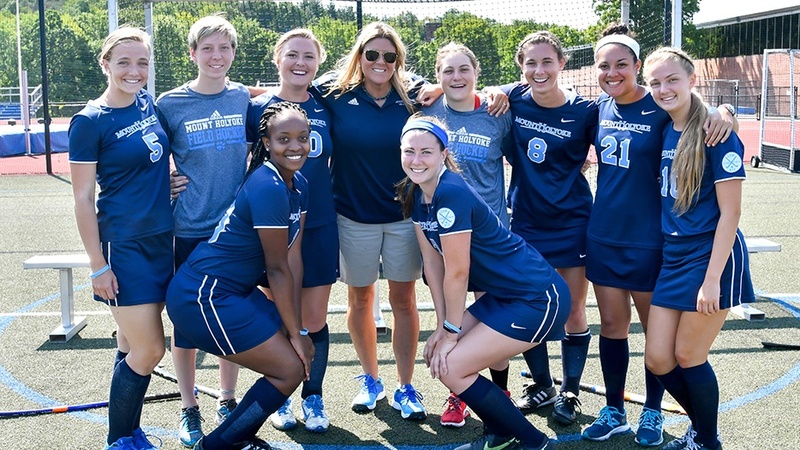 I explored the College online and got in touch with the field hockey coaches. I began to realize that a Division III college experience would not mean minimizing my sporting career. Instead, it would let shape my college experience — while competing at a competitive and intense, yet manageable, level. It would allow me to join the Diversions A Cappella group on campus. It would bring freedom to study abroad in Montpellier, France, because my coaches valued my personal and academic growth as much as my sporting career. As a first-year student, there were times I was so homesick that I wanted to catch the next plane home. 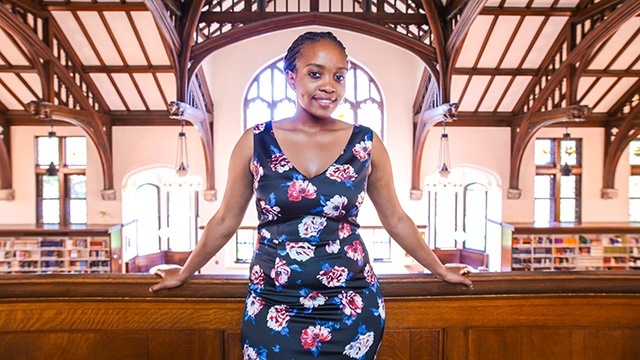 Yet those dark days gave birth to one of my favorite aspects about the Mount Holyoke community: the continuous support it serves to each individual. I remember a time when my field hockey team captain pulled me aside to ask if I was OK. I was fighting back tears after a long day of classes and practice. She knew I wasn’t OK at that moment, but her kindness made me feel like I had a friends who really cared. My teammates, coaches and friends truly became my home away from home, my family. Like family, our team experienced so much together: from struggling through the infamous first week of preseason to running our best individual mile times. From having the worst collective practice to seamlessly running through our most intense drills. From playing a game that makes you wonder “where is everyone’s mind at?” to playing unbelievably poised, beautiful hockey. From losing “make it or break it” matches to winning a whole NEWMAC championship — with the satisfaction that you fought for it with every fiber in your body. All told, these experiences were critical to my growth. I now understand why I will never feel like I deserve anything that I haven’t worked for, and because of that I will put my all into reaching every one of my personal goals. I’ve learned that I am my own biggest competition, and that how I speak to myself in my head will either build me up or tear me down. Resilience has become one of my shielding principles: I understand that when difficulties arise I must battle through to emerge even stronger than before. My academic experience at Mount Holyoke? Every day, I encountered people who wanted to see me better myself. My professors and academic advisors not only allowed me to dream, but helped me actualize my dreams by pushing me to apply for internships and academic opportunities that I did not believe I was good enough for. When I said I wanted to work for the United Nations one day to tackle the problems of economic development and poverty, they understood that I meant it. They believed in me and supported my goal. They pointed me to relevant resources in the field and connected me to key professionals who I could speak to about my ambitions. Being at a women’s college has shown me that women work at their best when they are encouraged to partner with one another — not compete with one another — for the greater good. In this environment, we learn to recognize systematic injustices and band together to fight them. 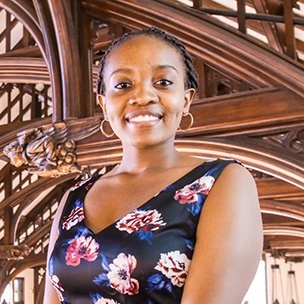 As a recent grad, I’m settling into my fellowship with the Global Health Corps. My role is to analyze the serious consequences that result from various political, social, economic and historic events around the world. I am gearing myself up for a future career in diplomacy and international development. I am filled with excitement and anxiety for all the unknowns. One thing that is for sure is that Mount Holyoke has meticulously prepared me for whatever comes my way. I know my career possibilities are endless because I can do anything I put my mind to. You can quote me on that. 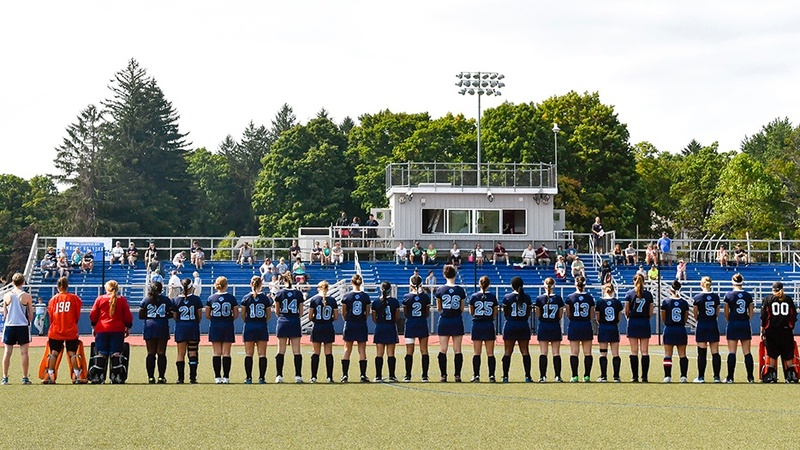 The field hockey photos above are courtesy of RJB Sports Photography.